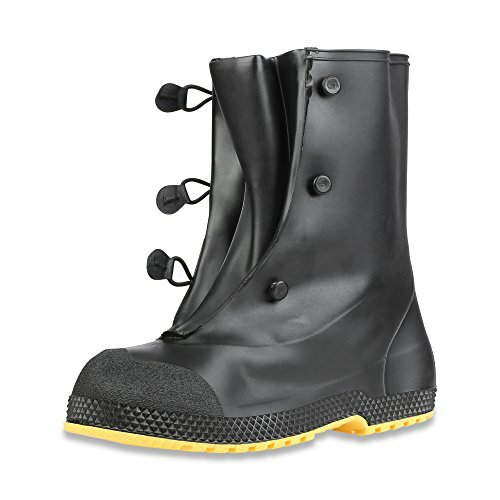 With an oversized design to fit over your largest work boots, these Servus SuperFit 12" PVC Dual-Compound Men's Overboots make it easy to keep your work or everyday footwear protected from water, liquids and wet, muddy environments. Made with a unique dual PVC compound, these overboots are seamless and 100% waterproof with a higher shaft for extra protection from splashes. The SF Wide Grip outsole improves traction, and extra-wide kick-off lugs are molded into the back heels of these boots for easy, hands-free removal.